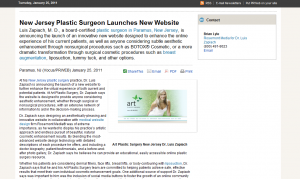 Dr. Luis A. Zapiach, a board-certified plastic surgeon in Paramus, NJ, recently launched an innovative new website to enhance his patients’ experience with his Art Plastic Surgery practice. In collaboration with our talented team of designers and writers at medical website design firm Rosemont Media®, Dr. Zapiach has created an informative online resource that captures his pursuit of each patient’s cosmetic enhancement goals and expectations. 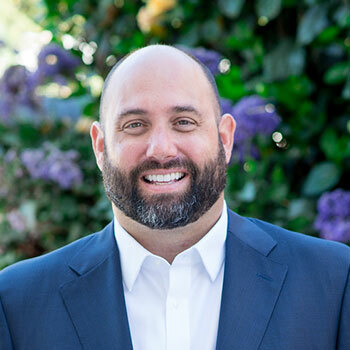 By providing detailed descriptions of all procedures offered, as well as before-and-after galleries, a doctor biography, and patient testimonials in an aesthetically-pleasing design framework, Dr. Zapiach and Rosemont Media® have provided his current and potential patients with an easily accessible resource to illustrate his extensive experience and artistic ability, as well as his steadfast dedication to patient safety and satisfaction.